During a Google Webmaster Central hangout in mid-2018, John Mueller confirmed that the fewer clicks it takes to get to a page from your home page, the better. I recommend trying to keep your site structure as shallow as possible—if possible, keep each page accessible within two to three clicks from the home page, or use breadcrumbs, tag clouds, and internal search to facilitate ease of use on more complicated websites. Include links in your pages’ main content. There are two types of internal links: navigational and contextual. Navigational links include links in your header, footer, and navigation bars to help users find other pages within the same domain as search engines crawl your website. Contextual links—which is what we’re talking about in this article—appear in your pages’ content and they have higher SEO value. Include keywords in your anchor text. Maintain a reasonable number of links on each page. 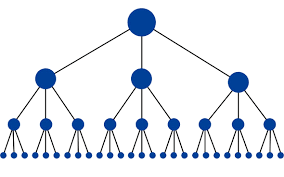 Google Webmaster Guidelines recommend limiting the number of links to a reasonable number. This both aids user readability and helps you avoid getting flagged as spam. Also, remember that if you point to the same URL multiple times on the same page, priority is given to the first anchor text and the subsequent anchors are relatively inconsequential. Make sure every important page is linked. Search engines can often find orphan pages—pages that aren’t linked to by any other page—but users can’t. Depending on the nature of these pages, you may choose to delete them, link out to them or block them from indexation. A. Provide additional, helpful information to your visitors. B. Help Google and other search engines crawl your website faster. C. Increase traffic to high-converting but low-traffic pages, such as product pages (Andrew Dennis’s 2018 article about “link building’s secret sauce” includes examples of how to do this). D. Promote pages that are stuck on page 2 of SERPs (we call these “low-hanging fruit”). E. Improve rankings for high, mid, or low search-volume keywords.